Scott is a name and face everyone knows. He is always happy to help with any of our clients needs or projects. 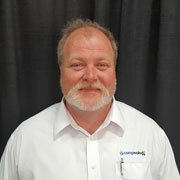 Scott has been with Compnology for several years and continues to show his dedication to all our clients environments.